EXCLUSIVE: LITECOIN is poised on the “brink of greatness” and could go on a “bull run” that leads to a mass trading boom across global markets, cryptocurrency experts have said. 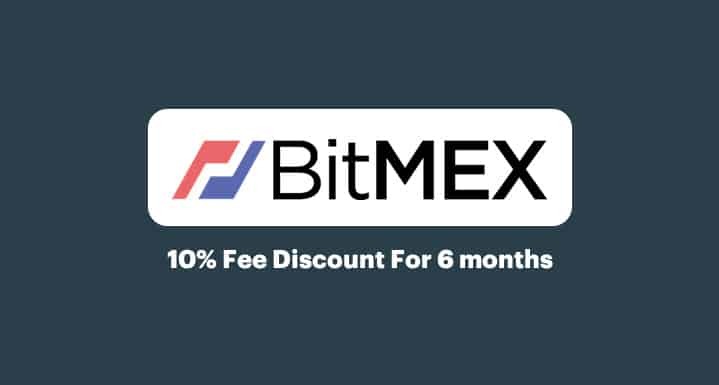 SHORT CRYPTO ON BITMEX.COM AND MAKE PROFIT WHILE PRICES ARE DROPPING! The open-sourced peer-to-peer online currency, which is inspired by Bitcoin, enables instant, near-zero cost payments to anyone in the world. The global cryptocurrency market has struggled to stay in the green for most of the second quarter of this year, with Litecoin falling to $116. But Litecoin, only released in October 2011, began to show signs of recovery during the week in rising to $121 and to hit a major bull run, it must break the $122 resistance, before then targeting the $130 milestone. As a result its market cap increased by $80 million, making it the sixth largest cryptocurrency. Express.co.uk spoke to experts who claim Litecoin can continue to rise, soon seeing mass adoption to become the third biggest cryptocurrency behind Bitcoin and Ethereum. Gabriel Francisco, cryptocurrency expert at TMT Blockchain Fund, said Litecoin’s resurgence was visible as early as late 2016 when its level of growth was quadruple that of Bitcoin, which had been released nearly three years earlier in January 2009. He argued Litecoin is on course to become one of the first real cryptocurrencies that shoppers can use to purchase goods and services as mass adoption grows. Mr Francisco said: “Poised on the brink of greatness, Litecoin is preparing for a breathtaking moon shot. Dubbed ‘the rock’ at times, this clone of Bitcoin has shown incredible market resilience and price inertia. “Pegged at 84 million coins, Litecoin is four times faster than Bitcoin and has four times the supply. In other words, Bitcoin is to gold what Litecoin is to silver. “Bitcoin will be used as a store of value and Litecoin will be one of the first real world cryptocurrencies to be used to purchase goods and services. The cryptocurrency launched its new marketing campaign “Pay with Litecoin” at the start of June in an attempt to drive merchants to accepting the coin as a payment method. R_Block co-founder Luke Shipley claimed that if this push proves successful, Litecoin could go on a bull run and become the third biggest cryptocurrency. He said: “Everyone in the core Litecoin camp is speaking very positively at the moment. They are very publicly having a marketing drive with the view to achieving wider merchant adoption. “It reached highs of over $330 in January and many have been tipping it to go on a bull-run once again. Jacob Piotrowski, CEO and founder of Give Bytes, said: “Litecoin is definitely a well established and a reliable coin. It has its history and a good track record peaking at $358 in December 2017. “Given its low transaction fees – $99 million worth of Litecoin was sent for just 40 cents worth of fees – Litecoin is a strong candidate for mass adoption which would of course boost its value. “With Bitcoin still leading the race and Ethereum coming second, the fight for the third most popular coin seems to be between Bitcoin Cash, Dash, Monero, IOTA and Litecoin. “The race is on we’re still waiting for a leader that will have easy and accessible API and one that can be easily adopted by e-commerce, fast transactions under five seconds and low transaction fees. But some experts have questioned Litecoin’s long-term potential and capabilities due to the fluctuating price changes and difficulty in therefore forecasting its value. Kevin Milson, chief executive and founder of Crypto Investors Club, said Litecoin’s ability to go on a bull run depends solely on Bitcoin’s growth. He added investors are sitting on Bitcoin and waiting for confirmation that the market is once again bullish, which could see Litecoin’s price could rise to $150. Dr Michael McCann, a Senior Lecturer of the Economics Department at Nottingham Business School, labelled investment in Litecoin “highly risky”. He said: “Unfortunately, unlike other currencies like sterling, there are no economic fundamentals to determine its underlying value. Therefore, it is difficult to know what will happen to the price. “Investors are looking for the next Bitcoin. It could be Litecoin, but it may not be. Warwick Business School Assistant Professor of Finance Daniele Bianchi, said Litecoin is losing value and with the stagnating nature of the market, it is unlikely to go on a bull run. “Litecoin has constantly lost value over the last weeks and months. I don’t think we can call it a “bull run” really, perhaps a somewhat expected rebound. “The whole cryptocurrency market is somewhat stagnating as far as major currencies are concerned. Litecoin reached more than £250 at the end of last year and now flies around £90.